To clarify, when I say Romney’s politics sometimes aren’t based on “principles”, I’m referring strictly to ideological principles, because I think you definitely have to agree Romney’s politics are indeed based on at least one principle: pragmatism. I’d even say it’s conservative pragmatism, but above all, Mitt is practical. His executive experience is primarily business related, and his task was to fix problems. That type of work demands a lot of flexibility and compromise. You don’t always walk away with a win, and solutions are rarely going to be perfect, pre-packaged, or fit neatly inside a box. It requires lots of give and take, and the problems and the solutions are rarely able to be painted in stark black-and-white terms. It’s messy. Business philosophies are more like guidelines than unbreachable doctrines. I think Romney sees politics the same way. Whereas it’s currently a core Republican doctrine that you must never ever raise taxes, I think in Romney’s head he’s thinking that it may sometimes be necessary to raise taxes, and that adhering rigidly to an anti-tax policy will take potentially promising options off the table. Whereas popular Republican bumper sticker rhetoric screams, “Class warfare!” at any discussion of a progressive tax rate, in his heart, I think Romney believes that the rich should indeed be paying more taxes. Whereas the Republican party platform contains strident language that denounces any form of “amnesty” in the search for a solution to illegal immigration, I think Romney might be thinking that there’s really no tenable solution that doesn’t involve some sort of path towards legal residence. But are you going to hear him confess this in a GOP debate or at a stump speech? No way! Only if it’s a gaffe (read: accidentally telling the truth). Many in the party base believe that Republican principles are the only solution to political problems. Many believe that Reagonomics or other economic policies are conclusively proven. 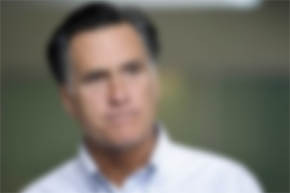 So Romney’s been spending this primary season trying to convince primary voters that he sees things the same way. That he’s “severely conservative”. Meanwhile, the general election looms, and Romney will need to then persuade moderates and independents that he’s more of a problem solver than an ideologue. Because guess what? Moderates and independents don’t like ideologues! We read expert economists arguing on the merits of varying economic policies and conclude that there are often no solid conclusions. We can often see both sides of an issue and feel that an uncompromising approach to complex issues might result in disastrous decisions. We cringe at the extremely oversimplified light in which politicians often paint messy policy puzzles. Does this make it harder to divine the specifics of a Romney presidency on certain issues? Absolutely. But presidential candidates always campaign as if the president had god-like powers to change the world. These candidates promise the world, and anyone who believes that a President Gingrich would bring $2.50 per gallon gasoline to Americans needs to contact me about some swampland in Florida I have for sale. As a moderate independent myself, I find it amusingly ironic that Romney’s biggest weakness to far-right conservatives is his biggest strength to me. Republican primary voters who are insisting on ideological purity would do well to consider moderate and independent voters in swing states and how their minds work. Romney’s greatest liability in the primaries may end up being his greatest asset in the general election when he has to appeal to the entire country instead of a small group of party loyalists.